The first thing we must do is talk about your situation immediately. Don’t wait! The moment to talk to a Jackson bankruptcy lawyer is when you determine you are facing financial hardship. We need to put a plan together that will meet your needs based on all the options available to you. The plan we put together for you will include a timeline for when to take action, and also include a process that will then rebuild your credit within a year following. 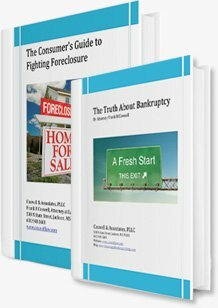 Consumer Protection – Most of the work that we do is in defense of someone suffering financial hardship due to overwhelming student loans, taxes, and other various forms of debt but we also sue debt collectors for violations and sue mortgage companies for predatory lending, servicing, and other types of fraudulent actions on behalf of our clients. Bankruptcy – There are many misunderstandings and misconceptions out there about bankruptcy law and bankruptcy procedure. Especially since updates to the laws occurred in 2005. The main misconception is that it’s harder to file for bankruptcy and that not everyone can file or qualifies to file anymore. The updates did make things more difficult on the attorney’s side, but not for the consumer. Everyone can file for bankruptcy. It’s a matter of what type of bankruptcy would suit your situation the best based on your assets, income, and type of debt. Chapter 7 – bankruptcy is designed to be a quicker solution for dealing with unsecured debt that is overwhelming you. You can still keep your secured debt, or even walk away from it if you like, but it wipes out all eligible unsecured debt. It stops garnishments, repossessions, and even foreclosures. Once you have filed bankruptcy, all other litigation pertaining to debt stops. The bankruptcy court protects you and takes charge over how all debt will be handled based on what you have filed. Chapter 13 – bankruptcy is designed to also wipe out the same unsecured debts that a Chapter 7 would handle, but mainly to help address secured debts that you are behind on by implementing a Chapter 13 Plan that can is set up for 3-5 years. In a Chapter 13 bankruptcy, we focus on your home, your vehicles, and other items that are secured debts that you desire to keep. It allows you to catch up on your back house notes and often lowers the monthly note on your other secured debts such as your car note, furniture note, etc. Foreclosure Defense – in Mississippi can be handled one of five ways. Mississippi is a non-judicial foreclosure state meaning that your mortgage company does not have to file for the court’s permission to foreclose on your home so there is no lawsuit filed by the mortgage company. It does not matter if we are discussing the foreclosure of a permanent structure or the foreclosure of a mobile home. It is up to you to take action. I can help. Mortgage Litigation – can address a multitude of issues and violations that have occurred. In our practice as Jackson bankruptcy lawyers, we focus on litigation that first stops the foreclosure (we must first save the home), and then address the various errors, fraud, and violations that you have suffered at the hand of your mortgage company and/or mortgage servicers. We not only sue mortgage companies and creditors, we actively train other attorneys all over the country to do so as well. Mississippi is our home. I have served and represented Mississippians for over 35 years and am so proud to be practicing with my daughter, attorney Rachel Coxwell. If you are under financial pressure, we can help. We know that dealing with financial difficulty is frustrating, It can make you feel discouraged and completely overwhelmed. It effects every aspect of life. 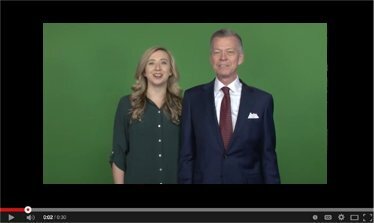 We want to encourage you to call us. The sooner we can discuss what's going on financially to create the hardship, the sooner we can provide you with recommendations, solutions, and a plan to resolve your financial hardship. Call or email us - whatever you prefer. We can help you - there are answers and options available to you no matter what your situation may look like right now. Don't delay. 601-948-4450. 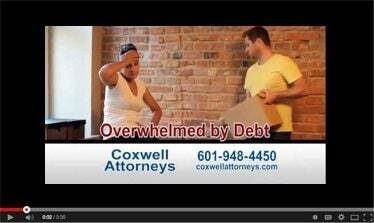 Learn more about filing for bankruptcy in Mississippi. Don't Wait. Contacting us is the first step to understanding your options. Get some basic personal and financial information together. Meet with Mr. Coxwell personally and get the information you need to decide what is best for you. We file your case to protect you, your family and your property. 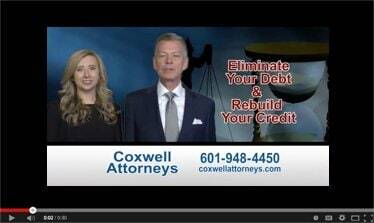 As a service to Mississippians, attorney Frank Coxwell has written two books which are full of information for people who are facing difficult financial times. Frank Coxwell has been a consumer protection attorney in Jackson, MS for over 32 years. He is an active member of the National Association of Consumer Advocates, the National Association of Consumer Bankruptcy Attorneys, and is an experienced trial attorney. He will go the distance for his clients.